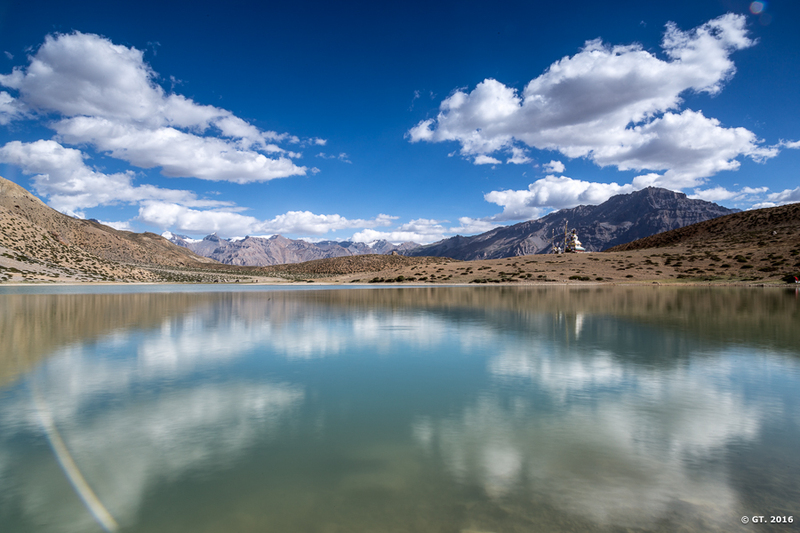 Dhankar lake is situated above the village of Dhankar at the height of 4136 meters (13570 feet) surrounded by dry, aried mountains on one side but opens up to distant snow capped mountains on the other side. 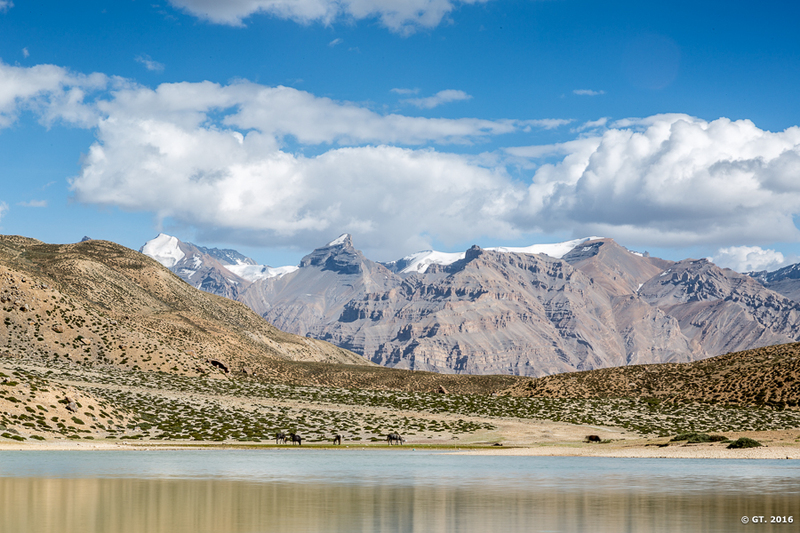 The hike to Dhankar Lake begins from a non decrepit path just outside the old Dhankar Monastery and throughout the hike the monastery plays hide and seek with you as you follow the serpentine path caressing the mountainsides. 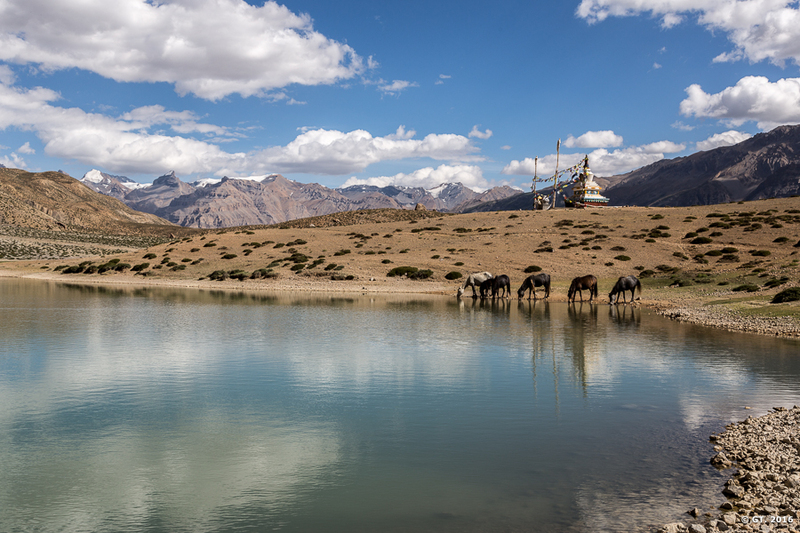 Depending on how fit you are, the trek is moderately difficulty and it should take you an hour to hour and half to reach the lake from the Dhankar monastery. What makes it challenging is the fact that you need to ascent about 1000 feet on a path that is strewn with loose rubble and small boulders. 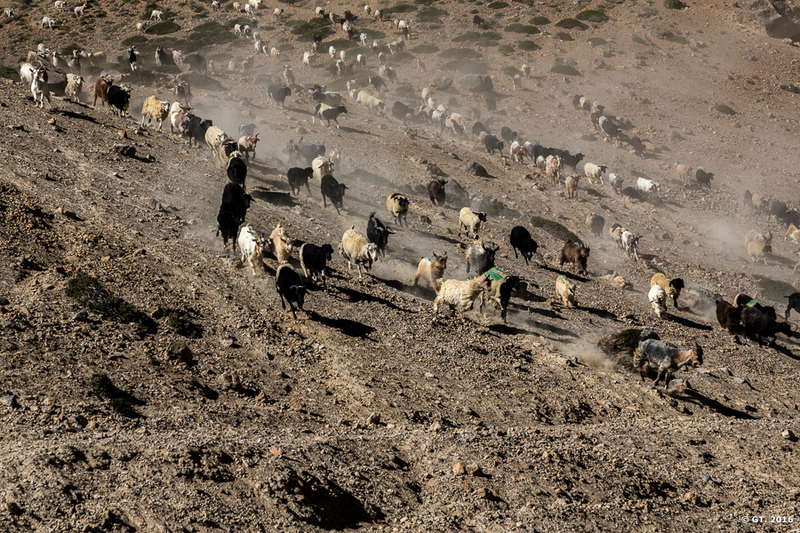 It rarely rains in Spiti as it is cold desert, but it snows every year leading to landslides and mudslides on these slops. 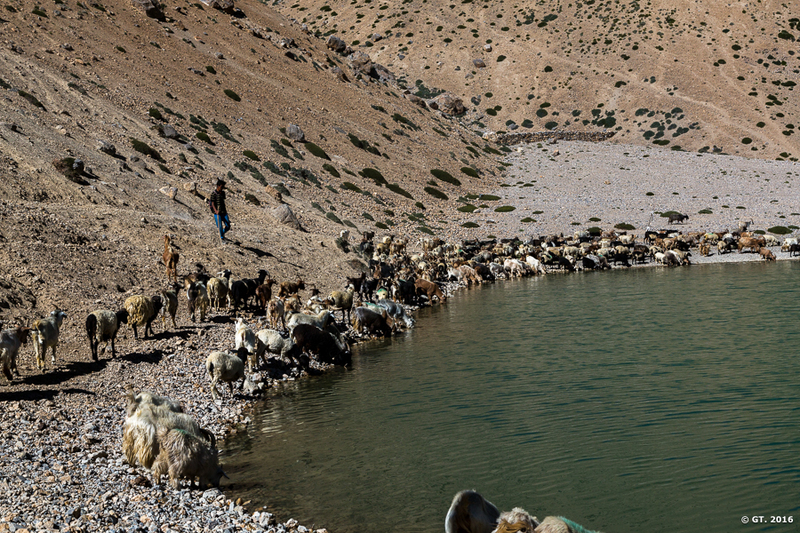 This makes the path strewn with loose rubber, so one needs to be a little cautious and one has to have a good pair of hiking boots / sandles and one should not forget to carry enough water on this trek. 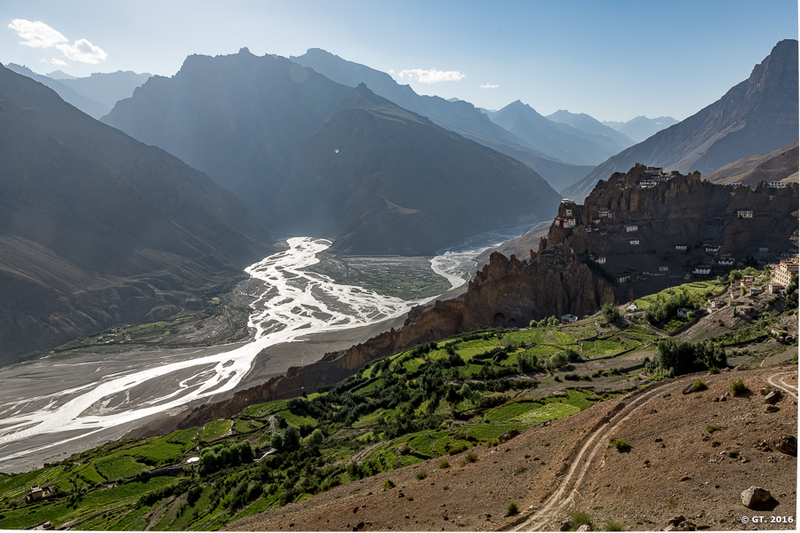 Most of the time on our way up was spent trying to click the Dhankar monastery and the confluence of the Pin river with Spiti rivers. Every turn on the way takes you higher and every time we stopped, the scenery looked different and beautiful. Stopping for photography was also a great excuse to catch ones breath on this steep climb. Slowly but steadily we finished our ascent and were a little disappointed to end up in an arid desert like landscape and no water in sight. But then we realized we had another 10-15 minutes walk to get to the lake and once you get there….it is a sight to behold. 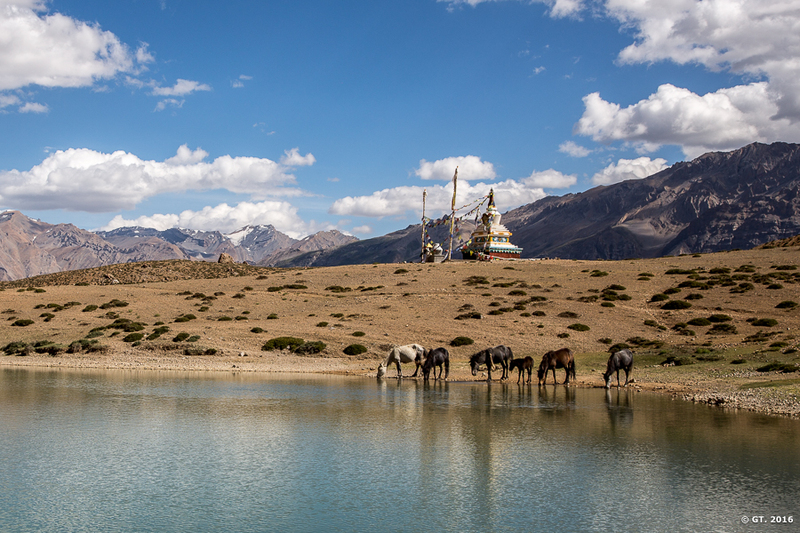 With a small gompa on it’s bank, the lake is beautiful. Good amount of crystal clear water spreads over a large area. 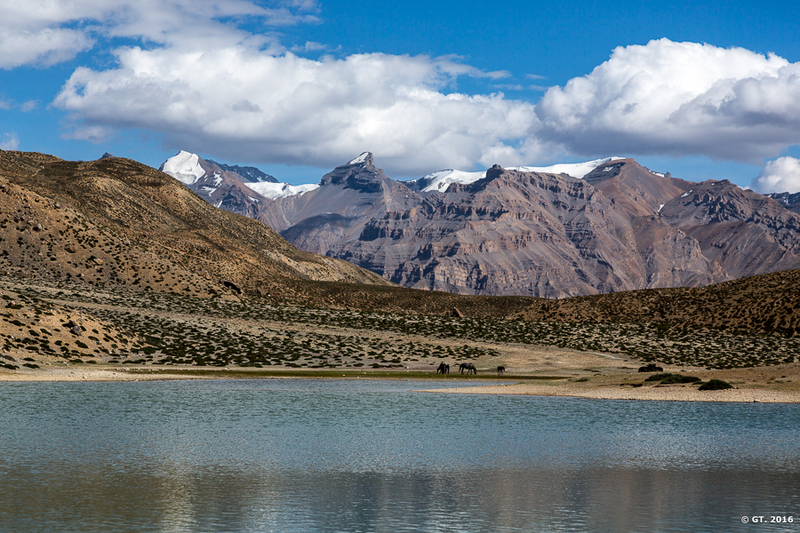 Lake is surrounded by the barren hills from the sides,and beyond the other side of the lake, clearly visible snow-capped peaks of Himalayas. Such a magnificent setting that it simply fill your soul and is an absolute paradise for landscape photographers. If the setting was not enough, we had two more beautiful experiences. We were sitting by the lake and taking it all in, when out of the blue wild horses* came out of nowhere for a drink. There is something about horses. Add them to any landscape they make the landscape even more beautiful. 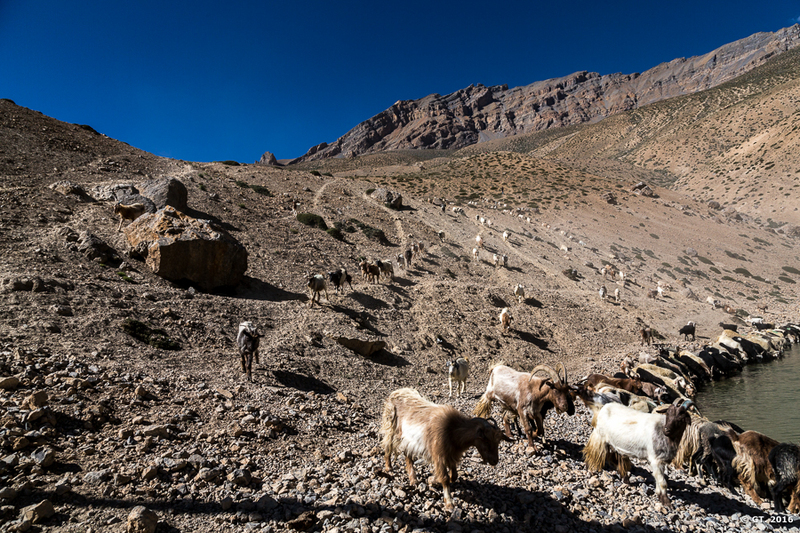 We were busy photographing the horses and we heard something scrambling on the barren hills. 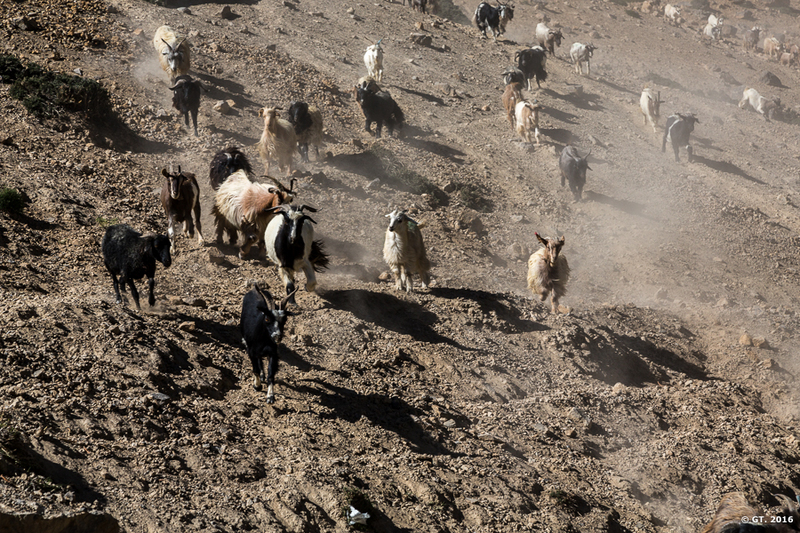 We look back and we see a huge flock of sheep and goat, running down the steep slope and they seemed so happy running down that hill. I guess they were so happy to see the water at that time of the day or may be it was just pure joy of being in such a location. One can never know for sure. 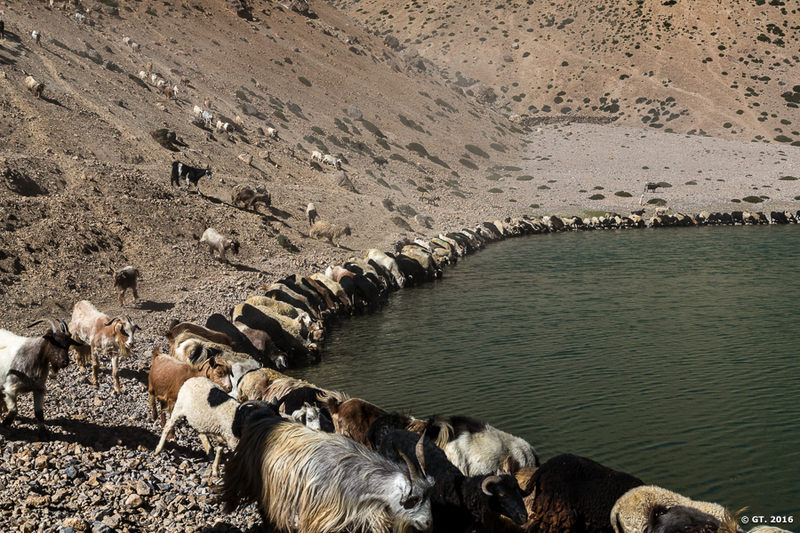 In no time we all surrounded by thirsty livestock as they made their way to the lake to quench their thirst. 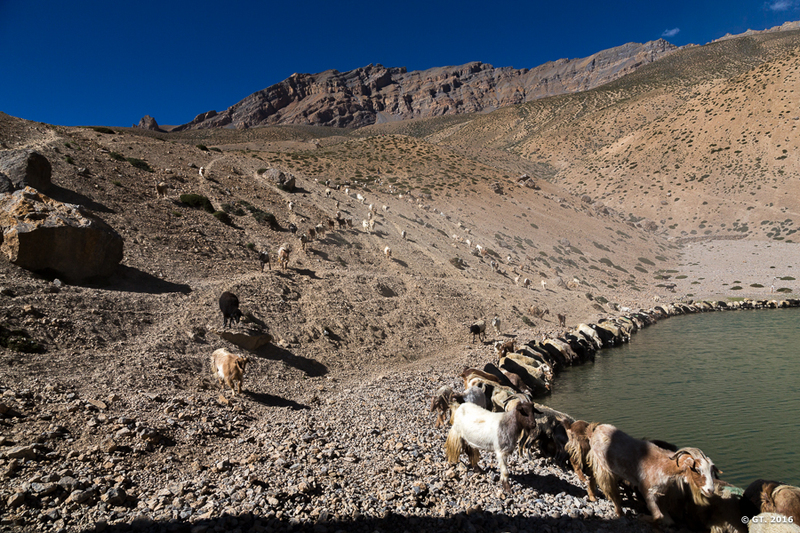 The sight of livestock and the horses earlier, by the side of a high altitude Himalayan lake made this trek and the day a magical one. 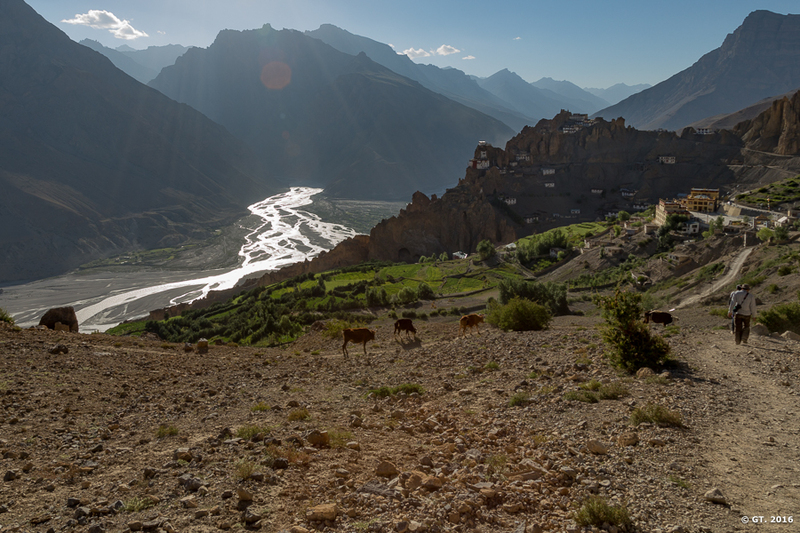 Reluctantly we started to make our way back to Dhankar gompa. 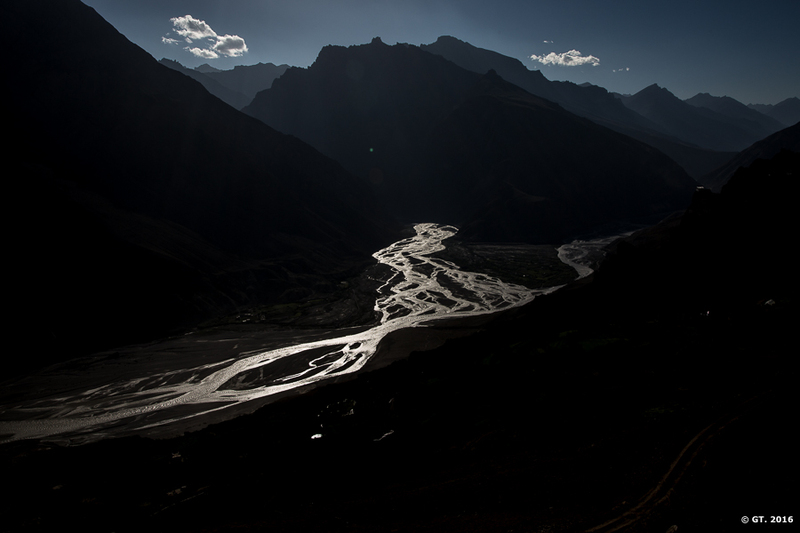 A beautiful sunset behind the gompa and the great beyond, kept us company that evening. We were a little tired by the end of the day, but what a fabulous day it was and what a way to live a day.